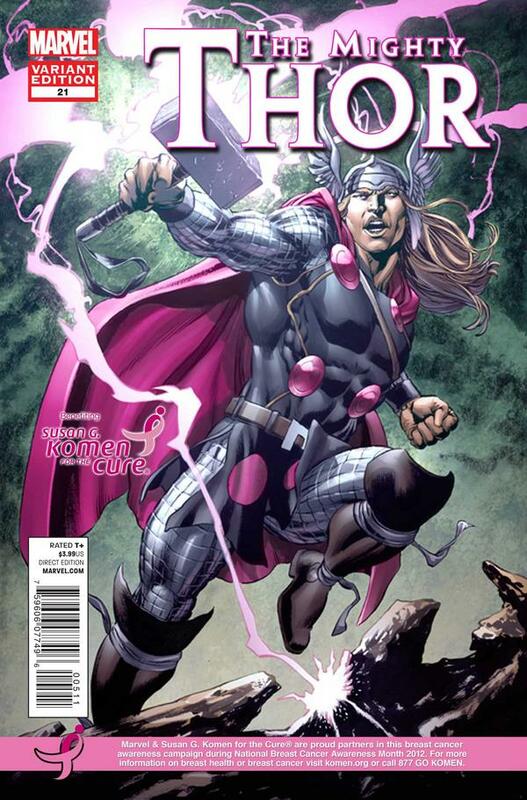 When it was announced that Marvel would be offering pinkwashed comic covers this month, I was more than a little upset. 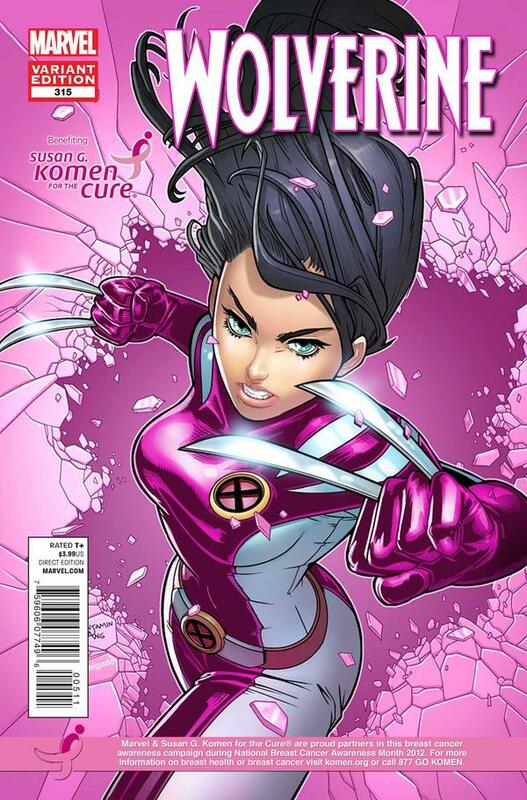 You see, Marvel is teaming with Susan G. Komen to offer pink varients of Avengers #31, Captain America #18, Captain Marvel #5, Fantastic Four #611, Invincible Iron Man #526, Mighty Thor #21, Uncanny X-Men #20, and Wolverine #315. I understand that Marvel’s only goal is make money. The problem is, so is Komen’s. When people donate money to Susan G. Komen For The Cure, they probably think that their money is going toward, I don’t know, finding a cure? The truth is, the Komen Foundation seems to be more concerned about making money and furthering their own political agenda than treating or finding a cure for breast cancer. Komen has a history rife with scandal. They refuse to acknowledge the link between BPA and breast cancer (presumably because many of Komen’s large donors manufacture products with BPA). Komen also spends nearly a million dollars a year pursuing legal actions against other charities who have associated themselves with the color pink or the words “for the cure.” That’s right, they’re spending donated money going after other charities. And let’s not forget Nancy Brinker’s lavish spending. From June 2007 to January 2009 the organization’s founder billed the foundation for $133,507 in expenses while she was the Chief of Protocol for the State Department under President Bush. She was a full-time federal employee and still spending donors’ money on her expenses! No list of Komen scandals would be complete without noting that back in January, Komen proved that they were more concerned with politics than saving lives after they “succumbed to political pressure” and pulled funding from Planned Parenthood. So before you support Komen, know that your money is going to shutting down other charities, padding the pockets of Nancy Brinker, and funding an organization who would rather protect their donors and thier political agenda than save lives. 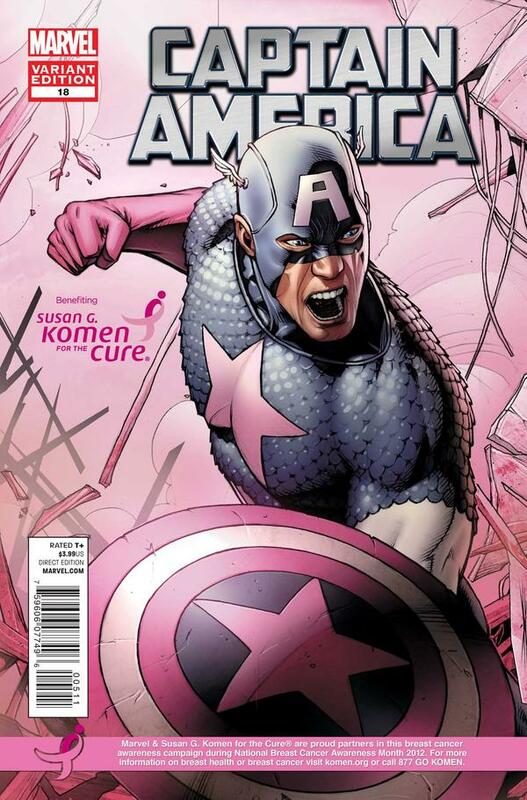 This October, if you want to donate money to cancer research, please don’t give to Komen. Instead, consider the American Cancer Society or The Breast Cancer Research Foundation. Just last year, The Breast Cancer Foundation helped to successfully lobby for an amazing $2.1 billion federal increase to breast cancer research. That’s right, the BCRF help to procure more money for breast cancer research in one year than Komen has in 30. For more about the dangers of pinkwashing, check out Think Before You Pink, a project of Breast Cancer Action.